Keep up to date on the latest news and information posted to PCImag.com with our RSS feed. Mixers, mills, agitators, grinding aids, pumps, filters and other material handling equipment. Gauges, meters, microscopes, software, rheometers, viscometers and other testing equipment. Ovens, lamps and other systems to cure or dry coatings. Information on mergers, acquisitions, distributor agreements, awards, company expansions and more. Key information about upcoming shows. News and information about new coatings and finishing processes. Information on coatings events, new regulations and standards, market reports and more. New coating application equipment available for finishers and end users. Equipment for drying and curing paints and coatings. The latest technical articles coming out of Europe. The latest coatings industry news coming out of Europe. The latest news from European coatings suppliers and manufacturers. Personnel announcements from European coatings suppliers and manufacturers. Information on coatings industry events taking place in Europe this year. Dispersion and mixing equipment relevant to paint and coatings processes in the news. Research recommended mixing and dispersion equipment for various paint and coating processes. Features in depth articles on the latest technology and problem solving techniques. New products and equipment available to coatings formulators and manufacturers. Information on the key components in coatings that have specific functions and a significant impact. Information on the ground materials that are dispersed in coatings to provide bulk, color and hiding. Information on the material that forms the bulk of paint film and provides thermal, mechanical and weathering properties. Global reports and market forecasts on the various segments of the coatings industry. Information on formulating pressure-sensitive, hot-melt, single- and multi-component adhesives. Information on the materials and technologies available to formulate architectural coatings. Information on the materials and technologies available to formulate industrial and protective coatings. Information on the materials and technologies available to formulate special coatings. Information on the materials and technologies available to formulate powder coatings. New developments in the nano world, and how they can change the properties of coatings. Information on the materials and technologies available to formulate solventborne coatings. Information on the materials and technologies available to formulate UV-curable coatings. Information on formulating waterborne coatings while still maintaining performance properties. 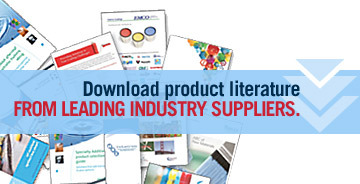 Up-to-date price increases and adjustments from suppliers to the coatings industry. PCI's annual ranking of the 10 leading global and 25 leading North American coatings manufacturers. New developments in low-VOC, waterborne and sustainable coatings technologies. Archived issues of Finishing Today magazine from 2002-2008. PCI's featured product of the week. Coverage from various industry events. New hires, promotions and retirements from the finished coatings and coatings end-user industry can be found here. Information from coatings manufacturers on finished architectural, industrial, powder and marine coatings. Information on conferences, trade shows, short courses and training sessions. Articles featuring the use and application of finished coatings. PCI is proud to be partnering with the School of Polymers and High Performance Materials at The University of Southern Mississippi to provide information on the program’s upcoming graduates. Click below to learn about the various students, and email polymers@usm.edu or call 601-266-4868 for more information about them. “Moody’s Coatings Conundrums” reflects the style of NPR’s classic weekly auto mechanic radio talk show, “Car Talk”, with hosts Click and Clack. While the subject of “Car Talk” was automobiles and auto repair, “Moody’s Coatings Conundrums” targets coatings science, and the many problems that formulators face. This is meant to be an interactive column, so please leave your feedback in the comment section on how to solve these issues! TiO2 Insider is a quarterly column written by Gerald Colamarino, Director of TiPMC Solutions, that provides insight into the ever-changing global TiO2 market.